Arrangement for clarinet and piano also available (HL44005042) Mozart wrote his clarinet concerto in 1791 for the virtuoso Anton Stadler (1753 - 1812). He and his brother Johann were distinguished players of the clarinet and basset horn and had known Mozart since 1784, when they participated in performances of his wind serenades. In addition, he was responsible for many technical improvements to both the clarinet and the basset horn, adding extra keys to both instruments and extending the range of the clarinet down to written C - thereby inventing the so-called basset clarinet. 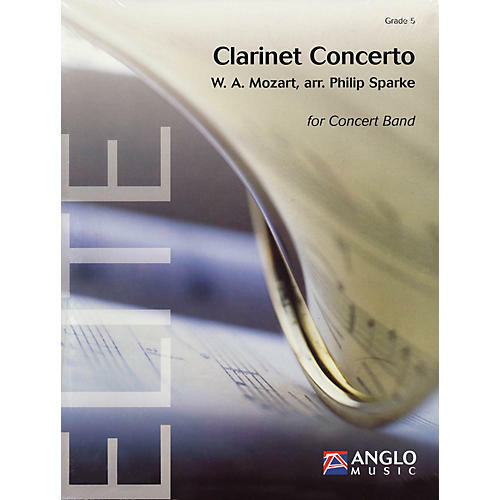 Please note: This edition of the concerto is in B flat, the soloist therefore playing the same written notes as the original, but on B flat clarinet.